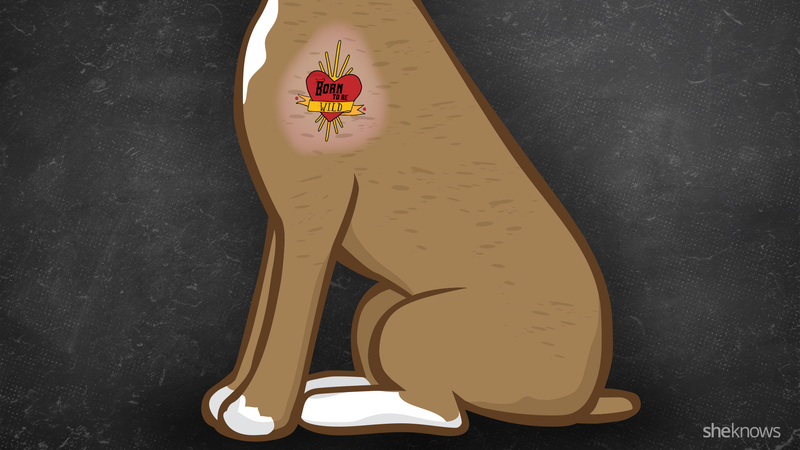 Is tattooing your pet animal abuse? Tattooing and/or giving your pet a piercing sounds like an odd thing to do, to say the least. However, it’s a more common trend than you realize and has gotten several pet owners in a lot of hot water. One case of pet tattooing actually inspired New York state to ban the act entirely. A Brooklyn tattoo artist posted pictures of his recently tattooed dog on various social media sites, which of course went viral because it outraged pet owners everywhere. He claimed he did it while the dog was sedated in the vet’s office after surgery, but that didn’t make the act any kinder to animal activists. A spokesperson from the ASPCA had this to say on the subject: “The tattooing of an animal for the selfish joy and entertainment of its owner, without any regard for the well-being of the animal, is not something the ASPCA supports.” While a vet may tattoo an animal for identification purposes, this is a far cry from that. Governor Cuomo signed the law back in December of 2014, saying, “This is animal abuse, pure and simple.” Penalties for disobeying the new law include up to 15 days in jail and a $250 fine. That will likely diminish the number of animal tattoo pictures we see on the Internet but might not be enough to diminish the number of incidents statewide by much. To date, New York and Pennsylvania are the only states to specify this act as animal cruelty and therefore illegal. So what are the reasons so many consider tattooing your pet animal abuse? Here are four, collected from experts and people who’ve undergone getting a tattoo themselves. 1. Animals have no choice in the matter. The thing that seems to irk people the most about the practice is that animals can’t tell you whether or not they want to undergo an uncomfortable procedure all for the sake of some cool-looking ink. Manhattan Democrat Linda Rosenthal, who sponsored the legislation that banned animal tattooing in New York, believes this fervently. “While people can choose the pain of tattoos or piercings to satisfy their own ‘aesthetic’ predilections, companion animals don’t have that luxury,” she said. Since animals can’t sat “no” to something that’s likely painful (not to mention permanent), it’s considered abuse. 2. There’s no doubt about it — getting a tattoo is painful. I spoke with several people who sport tattoos about how it felt getting them and whether or not they’d inflict that on a living thing without consent. Not surprisingly, most were appalled by even the idea of it. 3. You wouldn’t do it to your baby, so how could you do it to your pet? While people do occasionally pierce their baby’s ears (a practice that is not in itself well received), most consider the act of tattooing an infant abuse, because it’s a much more drawn-out, painful process. Both babies and animals can’t tell you they don’t want something like that done to them, so why is one considered so much more horrifying than the other? 4. Unnecessary painful procedures on your pet are wrong. Emily Patterson-Kane, animal welfare scientist of the American Veterinary Medical Association, can’t definitively say whether or not tattooing your pet does serious damage. However, she’s adamant about only doing procedures on an animal that are necessary for their well-being, which aesthetic tattooing is definitely not. All in all, it seems tattooing your animal is an all-around bad idea, so the more states that make it officially illegal, the better. However, if you see a picture online of an animal that looks like it’s been tattooed, make sure before you report it, because temporary tattoos for pets do exist, and they’re pretty much harmless.